I have found that some of the finest fictions that I have read have been rediscoveries. These are novels or collections of stories by authors who have been near totally neglected and forgotten for decades but are finally rediscovered by some admiring peripatetic reader with exquisite taste. Suddenly a previously neglected author joins the pantheon of classics. I search out articles which rediscover almost forgotten novels or writers, because these have usually proven to be among my best reading experiences. My first experience with one of these rediscoveries was Christina Stead and her 1940 novel ‘The Man Who Loved Children’ for which poet and author Randall Jarrell wrote a famous introduction in 1965 which brought that novel back from obscurity to justified fame. I didn’t discover the novel until about 1980, but Randall Jarrell’s article was still famous then. Since then there have been a number of authors who have justly come back from the missing. Here are a few of them: John Williams (‘Stoner’), Dawn Powell (‘Angels on Toast’, ‘The Golden Spur’, and just about everything else she ever wrote), Maeve Brennan (‘The Springs of Affection’, stories), Irene Nemirovsky (‘Suite Francaise’), Hans Fallada (‘Every Man Dies Alone’ aka ‘Alone in Berlin’), and Lucia Berlin (‘A Manual for Cleaning Women’, stories). 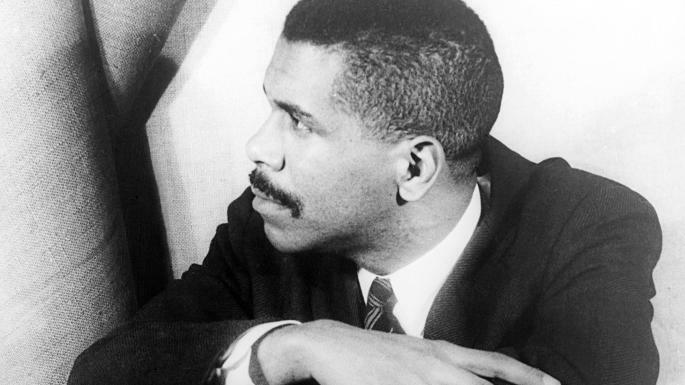 All of these forgotten writers have now assumed their rightful places in literature. Now a new name to be added to that list is William Melvin Kelley (‘A Different Drummer’). 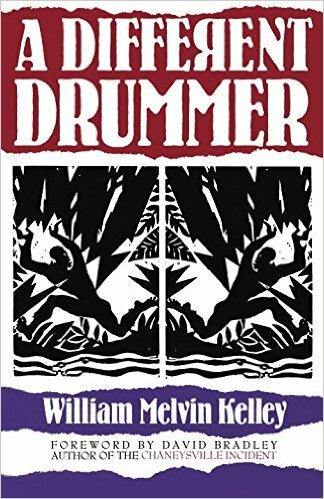 William Melvin Kelley wrote ‘A Different Drummer’ in 1962, and after reading it I find it worthy to be included on this list of forgotten classics. It has already been praised to the heights by articles in the New Yorker, the Guardian, and the Irish Times this year, so don’t blame me for rediscovering it. Forget the portentous fictions of William Faulkner. William Melvin Kelley writes in the open magnanimous humorous spirit of Mark Twain. The white landowning Willsons in 1957 sell a piece of land to steady worker and family friend Tucker Caliban who is a descendant of their former slave. This is a transaction many of their white neighbors and townspeople can’t understand. Tucker Caliban proceeds to destroy the land and farm by salting the land, slaughtering his horse and cow, and setting fire to the farm buildings and then leaving. This sets off a mass migration of all of the black families in the area to the North. Soon there are no black people at all left. At first the white Governor of the state claims, “We never needed them, never wanted them, and we’ll get along fine without them.” However the other white people are angry because they won’t have anyone to boss around and look down on anymore. ‘A Different Drummer’ captures the full range of white characters from a white boy who recognizes that Tucker is different from him but admires him anyhow to the Willsons who grew up alongside Tucker and his new wife Bethrah to the vicious redneck and white supremacist townsman Bobby Joe. I like to think about the professional football, basketball, and baseball teams. The white players and coaches on these teams must realize that their teams would be nowhere without their black athletes. Any white racism would be detrimental to any one of these professional teams. Yet the United States and its President persist in their ugly white racism. But getting back to this excellent novel by William Melvin Kelley, it is Kelley’s light touch in telling his story that impresses me. He captures these people as only the finest writers do. Kelley has a homespun way of telling his story that reminds me of Mark Twain.